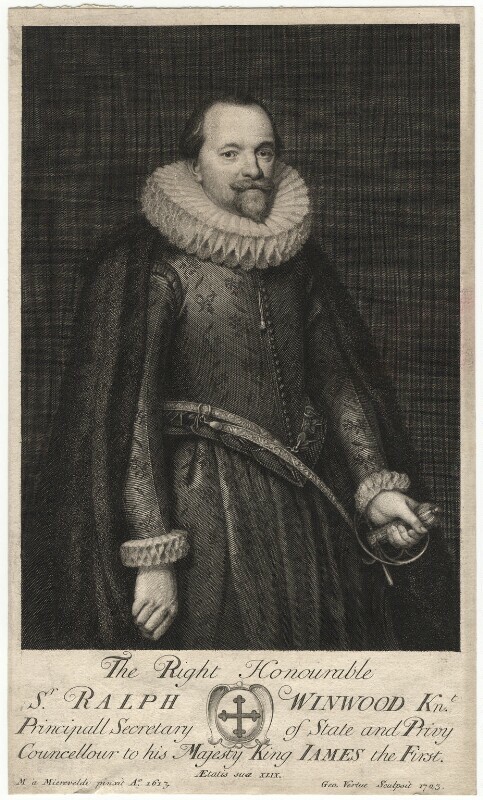 Sir Ralph Winwood (1563?-1617), Secretary of State. Sitter associated with 5 portraits. Exiled Jacobite leader Henry St John, 1st Viscount Bolingbroke is pardoned and allowed to return to London from Paris. Workhouse Test Act under which poor relief claimants have to enter a workhouse. Black Act makes poaching a capital offence. Artist Joshua Reynolds is born in Plympton, Devon. Philosopher Bernard de Mandeville republishes his celebrated Fable of the Bees with new essays on charity and the nature of society. They are vigorously combated and made the subject of prosecution in 1729. Holy Roman Emperor, Charles VI, agrees that Hungary shall be ruled as a separate kingdom within his empire. Treaty of Charlottenburg signed between Britain and Prussia, which arranges for George I's grandson to marry a Prussian princess and Prince Frederick of Prussia to marry the Prince of Wales' daughter. It is never enacted.